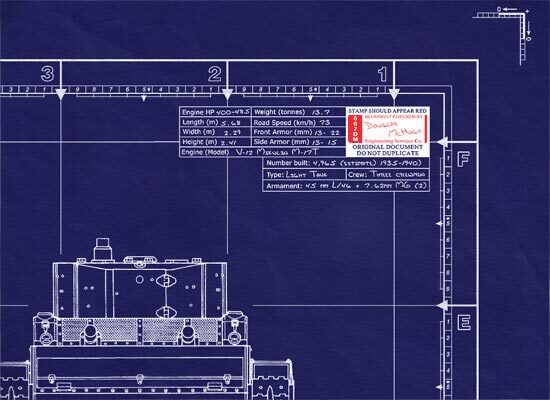 In 1928, a tank design bureau was established in the factory and eventually become the Morozov Design Bureau. 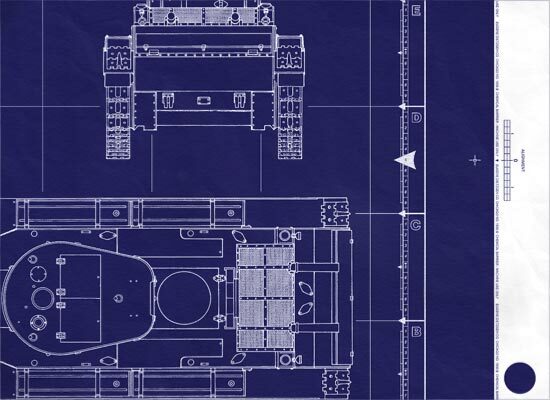 — one of several which would be responsible for some of the most successful tanks ever built. — the Bolshevik Factory in Leningrad and the KhPZ were the first two Soviet tank factories. 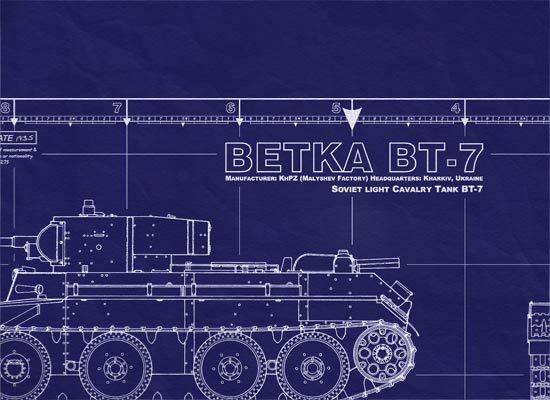 The KhPZ designed and produced nearly eight thousand BT fast tanks. 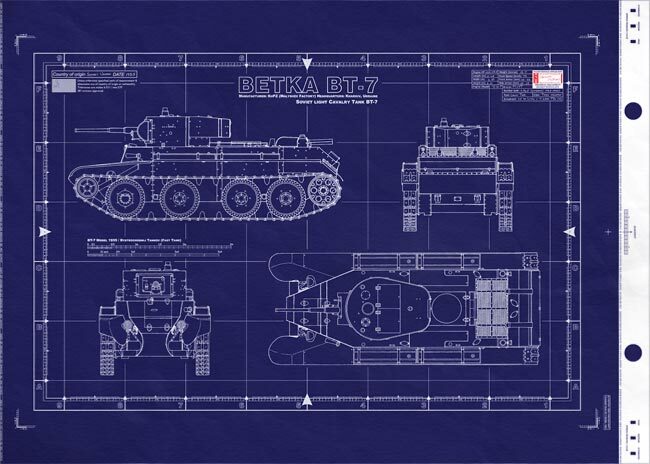 Russian Tank BT-7 Model 1935 - This is a real blueprint made directly from vellum masters. Delivered to you on a full size master sheet measuring 42"x 30".